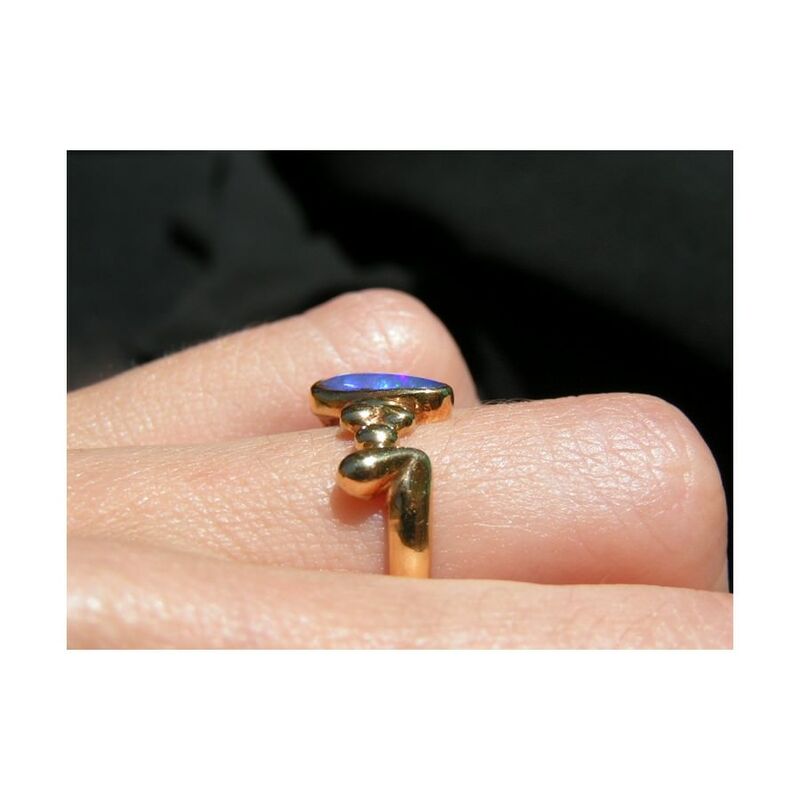 An Opal ring in 18k Yellow Gold handcrafted with a Blue Lightning Ridge Black Crystal Opal. 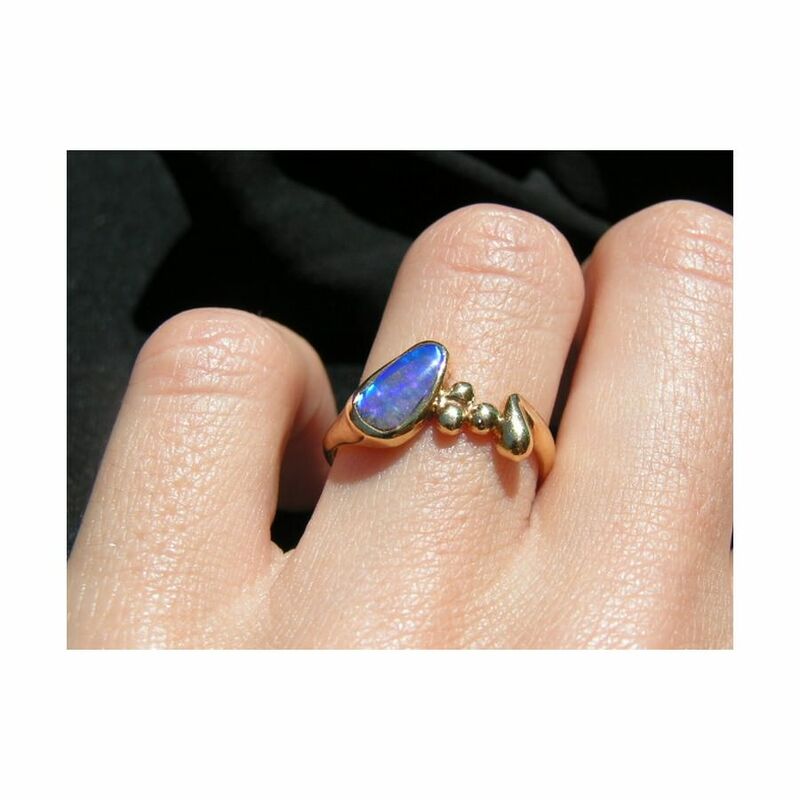 An Opal ring for women handcrafted in 18k Yellow Gold and features a beautiful Lightning Ridge Black Crystal Opal that shows a vibrant shade of Blue. 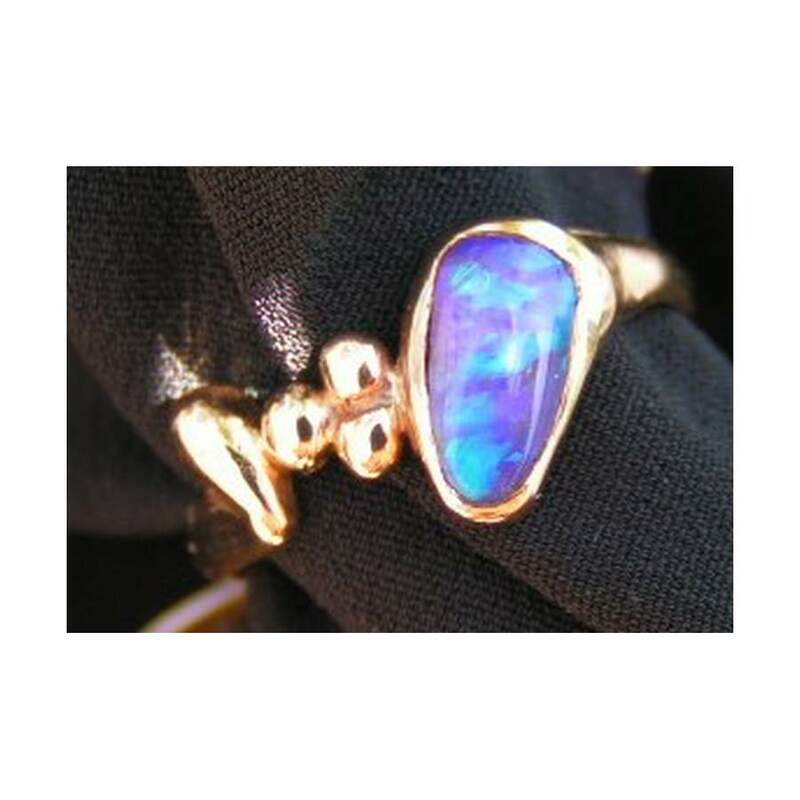 The Gold ring has been carefully created to surround the natural Blue Opal with additional Gold detail on one side of the band and has a closed back. 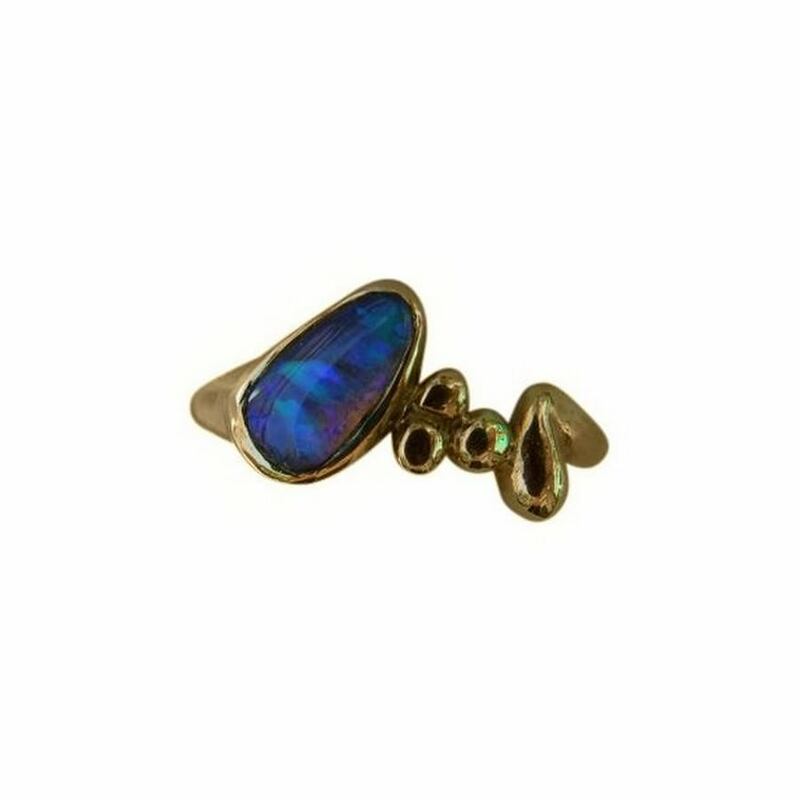 A stylish ring with a bezel set Opal and high shine of 18k Gold that is ready to ship now in a size 6 ¾. Re sizing is not being offered on this Opal ring however it can be resized by a reputable jeweler who knows how to work with Opal. We suggest contacting your jeweler to confirm they can resize this ring before purchasing if you require a different ring size.